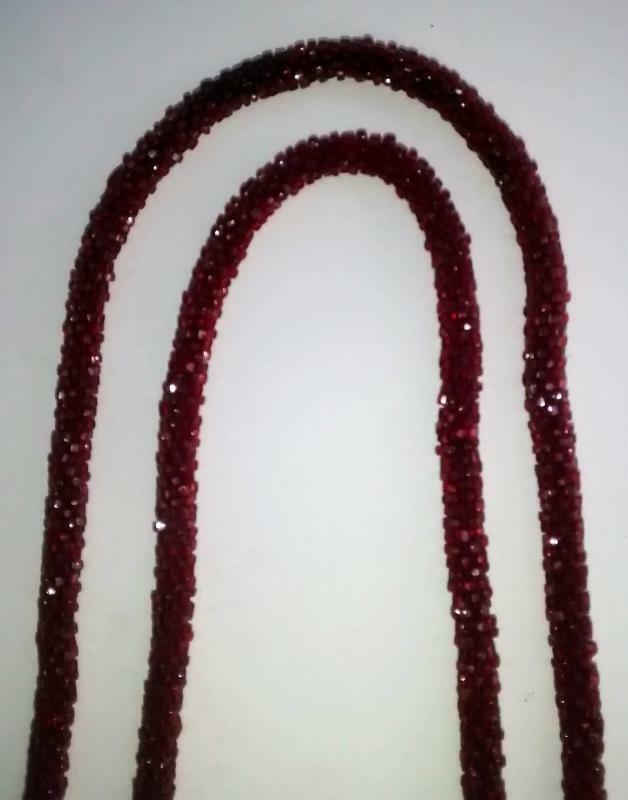 Art Deco lariat necklace with ball tassels, made of deep crimson red faceted glass beads. Favored by "flapper" girls of the 1920s. Measures 54"l. Nice condition with no major issues. 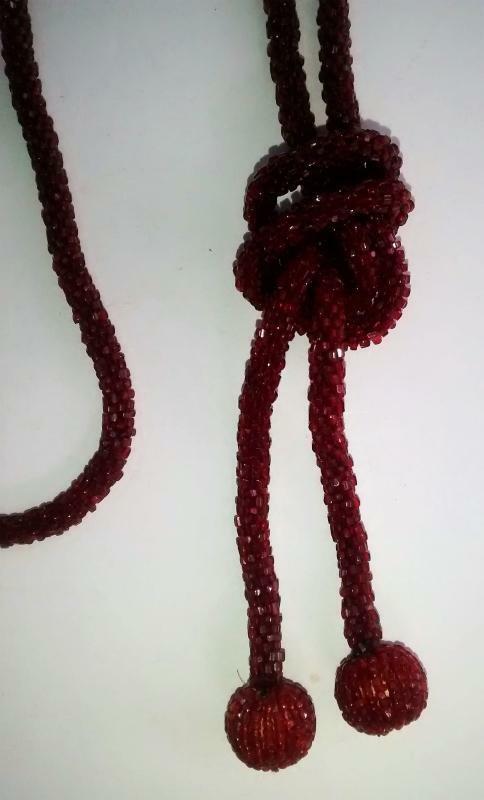 Have seen these also described as "negligee" necklaces in some of my books. Inglenook Antiques...Established 1989.